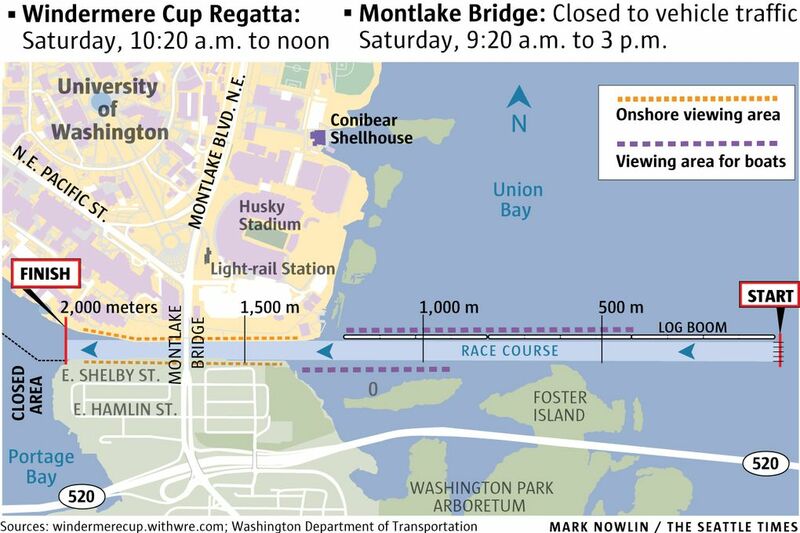 Seattle’s annual celebration of rowing and boating returns Saturday with the regatta at the Montlake Cut. Women’s Windermere Cup, 11:40 a.m.: UW varsity eight, Cambridge University (England), University of San Diego. 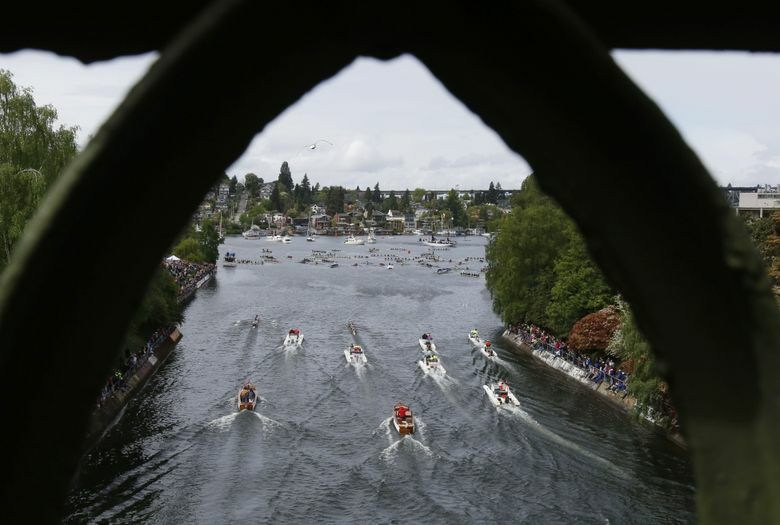 Men’s Windermere Cup, 11:55 a.m.: UW varsity eight, Russian under-23 national team, Stanford University. Award ceremonies on north bank of Montlake Cut. Parking: $15 (E-12, S-1 lots). Broadcast (delayed): 11 a.m. May 14, Pac-12 Network Washington. Map of the Windermere Cup course and its surroundings. About the teams: Originally, the Cuban men’s national team was slated to row at this year’s Cup. UW men’s coach Michael Callahan said that too many international events during an Olympic year led Cuba to pull out. So the UW invited Russia, which competed in the first Windermere Cup (as the Soviet Union), the 10th, the 20th and now the 30th. Russia’s U-23 crew placed third at the 2015 U-23 world championships. 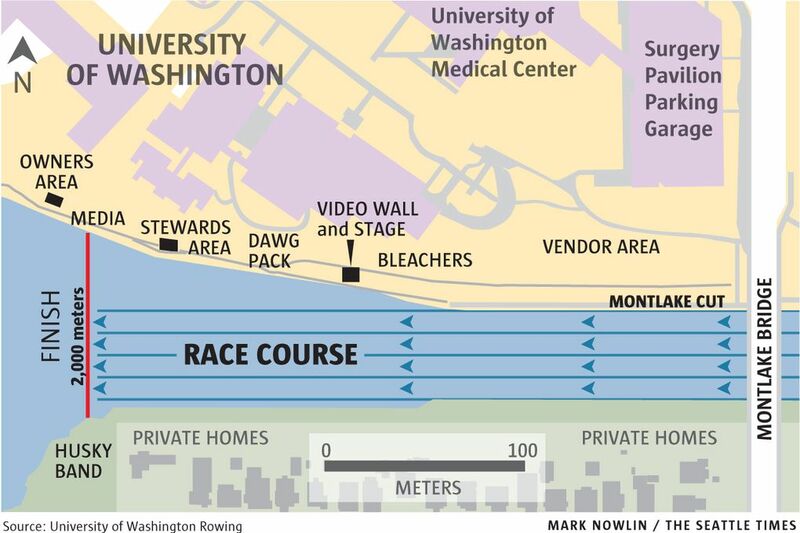 Close-up of the area around the Windermere Cup finish line. UW, which lost at California by a half-second two weeks ago, is ranked No. 3 in the latest men’s poll. Stanford is No. 15. 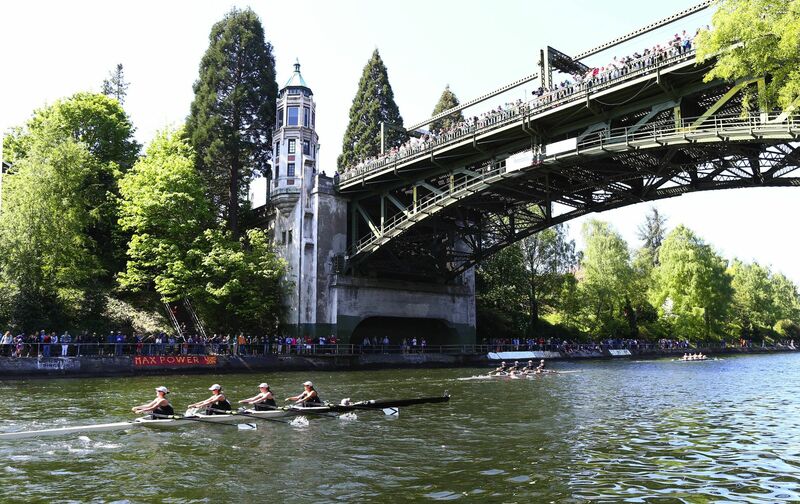 The Cambridge women, rowing for one of England’s historic rowing programs, are making their fourth Windermere Cup appearance, last rowing in Seattle in 2011. The UW women rank No. 4 nationally. USD is one of four teams receiving votes but outside the top 20. The UW women have won their last nine Windermere Cup races.